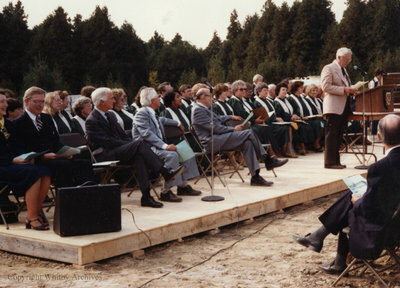 A colour photograph of Len Cullen speaking on a podium at the Baptist Leadership Education Centre (BLEC) building site. Baptist Leadership Education Centre, c.1984, Photographer Unknown. Whitby Archives A2013_042_114.